Let’s dig in all these topics to get the real answer based on the information shared. Tiny and elevated, bumpy skin with redness around is how whiteheads look like. Whiteheads are one of the most common types of acne. If you notice, they are formed particularly on nose, chin, forehead, and around face. When we say that whiteheads have redness around, it is not in all the cases. Furthermore, whiteheads don’t have pus or any liquid in it which means they are not even close to pain. But yes, there are several conditions in which whiteheads ache real badly. How are they formed on chin? 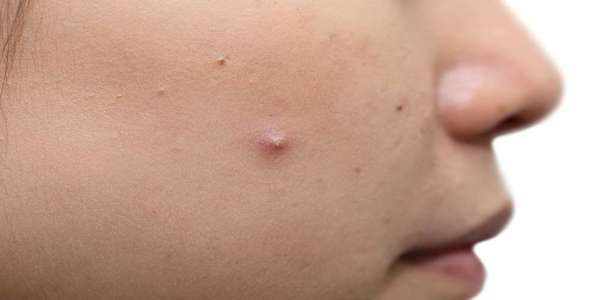 Secretion of sebaceous gland makes its way to excessive amount of oil. This oil becomes the major source of acne. Since we know that there are several kinds of acne and each has its own features to exhibit, whiteheads have particular characteristics. Exfoliation at its roughest side. Use of cosmetic and beauty products. Inheritance is also the cause of whiteheads. Oil itself is the cause of whiteheads. 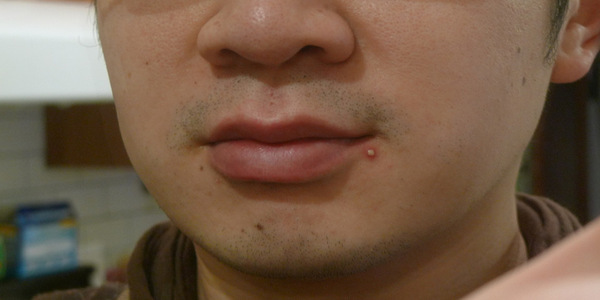 Whiteheads on chin are reduced by applying tried and tested remedies. In this section we have discussed about honey, apple cider vinegar and witch hazel. Hope you will get benefitted by these remedies. Whiteheads are mostly found in the T zone which include: forehead, nose, chin and upper lips. 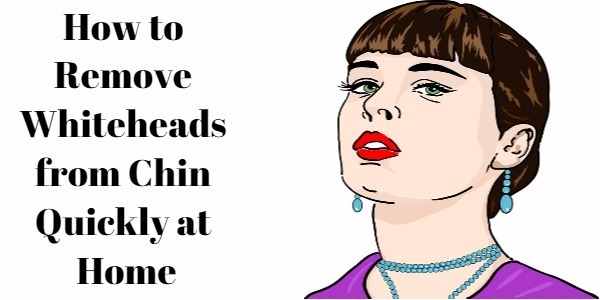 So, if you have whiteheads on chin then this remedy is meant for you. But prior going into remedy we want you to know the reason why honey is used as an agent to rescue your skin with whiteheads. First of all, organic honey has antibacterial, antiseptic, and healing properties. According to dermatologists, organic honey is the real source of reducing whiteheads because of the anti-acne qualities. Take a quarter teaspoon of honey and apply it directly onto chin. Let it sit there for maximum 10 and minimum 3 minutes. Once it is partially dried, massage thoroughly with gentle hand. Remove it from chin with the help of dampened washcloth. Take a bowl or container and add two teaspoons of sugar and one teaspoon of organic honey. Mix it well with the help of finger or spoon. Scrub the mixture on your chin and other areas if necessary. Let it rest on skin for 5 to 10 minutes. Scrub it nicely with gentle movements. Wash it off with the help of warm water. Repeat the procedure at least thrice in a week. The main function of witch hazel is to remove inflammation, redness and soreness. Also, it helps in keeping your skin away from bacteria. Since this ingredient also contains antioxidant features and has richness in astringent, it clearly becomes of great value. Dab cotton ball and apply it on the chin. Repeat it twice in the day. Apple cider vinegar is considered best for removing whiteheads on chin. It has the power to balance pH level. Also, it is one of the kind because it is amazing for skin conditions. Apple cider vinegar also contains acetic acid, antiseptic and antibacterial properties. Dilute water and apple cider vinegar. Quantity of both would remain same. If you are taking one tablespoon of water then it has to be one tablespoon for apple cider vinegar. After mixing it well, soak washcloth and wring it well. Apply it on the affected area or chin in particular. Let it remain there for 10 minutes. Wash it by the help of clean water. You will notice change in whiteheads. They will not be bumpy or elevated. Redness will vanish too. Repeat it as many times as you want in the week. However, you need to stop it right away if it doesn’t suit your skin type. Essential oils are extracted from different ingredients. 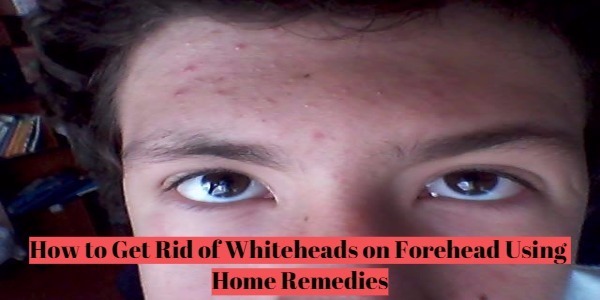 These ingredients are helpful in reducing and getting rid of whiteheads. Also that essential oils have anti-inflammatory and antibacterial properties, it becomes more of a good item for reducing whiteheads. Take a drop of essential oil on your index finger’s tip. Apply it directly on chin. Let it remain there for few minutes. Wash it off once it is dried. Last but not the least; it is imperial to understand the effects of home remedies. These home remedies hardly carry any side effect but if it doesn’t suit your skin type then it is better to try medications, or treatment through laser therapy.